"Simple to Use Once You Get It"
I like the dashboard feature of Crimson Hexagon. My organization does weekly analytics reporting so it's great to be able to save frequently searched items for quick reference. I also love how in depth, but easy to understand the analytics are. For example, the software doesn't just tell you things like people that may have seen your tweet. It also presents, who is most likely to be the reason your tweet got traction and how many followers they have. As a complete beginner to using social media analytics, Crimson Hexagon has been really easy to use. For how much money it costs to use Crimson Hexagon, I was really surprised at the lack of onboarding and poor customer service. I don't think I've ever had a question actually answered by contacting customer support. Because it is such an extensive product that does so much, so well, I would have hoped to have a great onboarding process to be able to fully take advantage of all of Crimson's features. In order to start using Crimson Hexagon, you'll have to get trained on using it fully. Because it is such an extensive and deep diving tool, it's easy to not take advantage of all the features. Crimson Hexagon is a way that we put our digital outreach into numbers and metrics. We gauge on whether engaging with a topic will be worthwhile before we get involved and also make sure it is still worthwhile when we are actively engaging on the topic. "Crimson Hexagon is an effective social media listening tool"
I love the ability it has to generate many reports and analytics in just a few seconds. It is easy to navigate and gives you a variety of information which is awesome because I've used other social media listening tools before and they only preform one or two functions. Sometimes is hard to find exactly what information you need. Also I dont like how you can't save a monitor, so you have to re-enter your criteria. This product helped us preform initial research about specific topics being talked about on social media during a specific time, with the data we pulled we were able to create a specific strategy for our client. "User review of Crimson Hexagon"
I like the topic analysis that has outputs in the wheel and affinity links. Great visuals for these analysis. A good attempt at making machine learning get an user interface to work with. The machine learning application for sentiment analysis is too tedious and not accurate. Lack of customizable charts for analysis. In my 2 instances of reaching out to support, I felt it could improve. Now I'm told they are looking to bring in chat support to all users which is a good move. You have to keep in mind that Cirmson has made a bold attempt at making machine learning algorithms available to lay users through a user interface. While this can work for large data sets by training to tool with a large training set, it is not practical for small analysis with lesser data. It has got great visuals to aid understanding of topics and associated terms. The support is very poor. Some queries are never answered and almost all queries are delayed by at least a week. When other tools offer support in less than an hour's time, this is very poor. Its a good tool for topical analysis but not very good for sentiment analysis. It has helped me understand the terms/words used to describe topics through their wheel visuals. "Beyond Just Social Listening - This is Social Intelligence for Brands and Businesses"
Ability to collect years of social data instead of just 90 days in order to measure long-term trends. The ability to train Crimson to understand and classify posts into user defined categories. This is especially useful in understanding the specific facets of a trend instead of just positive, negative and neutral sentiment which are never accurate. Finally the data visualization capabilities are fantastic for presentations and helping to explain what the data means. It does not have social publishing capabilities however that has never been necessary for how we use this tool. The practice of social intelligence is both an art and a science. I've used a number of social listening tools and in my opinion Crimson Hexagon is the most advanced social data listening tool available along with excellent data visualization capabilities that enable you to communicate the data in meaningful ways, for a variety of purposes, that add business value. Business strategy - ability to see trends developing over multiple years. The features I use the most are post volume, demographic information, and topic wheels. I feel that these are very helpful and accurate. Sometimes I am hesitant to rely 100% on the post volume using keywords, sometimes I am not sure I am getting the most accurate numbers for the platforms I need to monitor. I also don't like how many smaller platforms are included in the totals - forums, comments etc. Also post list could be cleaned up a bit and would be helpful if it was sorted by platform/language and more. Definitely attend a tutorial with someone who knows how to use the platform very well before just trying to dive in! I am using crimson to report on certain events i.e. "how many people were talking about artist x in a certain time span and what were they saying/" It's really helpful to have solid numbers to report back to management teams and partners to showcase how much fans like our artists for future marketing plans. "Fast, user friendly, great visualization of unstructured data"
The tool is easier and faster to use than Sysomos. I like the opinion monitor's ability to sort & train conversations and I appreciate the tool quantifying the conversations. It is easy to add and discount conversational categories - which makes it easier for benchmarking a brand's participation or inclusion in key conversations. As with most social listening tools, I can alway use more functionality - more manipulation of word clouds, post list in chronological order, better exports of workspaces, MORE facebook topic data!. I'd like greater disclosure on the product development roadmap. Things that are missing but are needed get a "we'll submit that idea to our product team" - which is like a black hole on a users end. What is being developed and how agile is this development? On Facebook topic data - I really don't believe any tool is pulling enough data. Facebook looks under represented in most of my searches (regardless of tool) and this is concerning for the future of Twitter is in question. If twitter goes down, what is my source of conversational data? I evaluated a number of tools before switching to Crimson Hexagon. The ability to run a number of analyses concurrently is important, as well as visualizations, number of languages, countries covered, etc. I ran scenarios to ultimately test the tool. I found Netbase too slow and cumbersome, Sysomos - well I needed a change and other tools were interesting but placed limits on how often I could run analyses. We pull brand, category, competitive or consumer level insights based on unstructured conversational data. Or as other says - find the humanity in the data. The business problems may vary from understanding what key conversations are driving brand mentions, to understanding consumer reactions to brand messaging, to identifying emerging trends within categories - all with the intent of outlining a consumer journey, intent or developing better content creative. "Surface level insights about your brand"
I like that Crimson can identify trends and topics that people talk about in tandem with the brand terms that I search for. I don't find that Crimson surfaces insights that I wouldn't guess to be true already. Hard to find anything ground breaking in there. Proving the case that people talk about different topics and brands which therefore justifies ad spend to reach these people and conversations. I loved the affinity sections within the monitors we set up for clients or prospective clients. It really helped us paint the picture of the audience we were looking at. Monitor setup was also extremely easy. If you have a search background it will be a breeze for you. The limited number of monitors you could have within your account. This hurt us as we liked being able to go back into them throughout the year to see if feelings toward brands or industries changed. They have been acquired by Brandwatch and they don't know what that means for their platform at this time. We used it mainly for social monitoring to see the sentiments towards brands and industries. This has been helpful for us to assist with making optimizations to our social strategies. "Strong product overall, appreciate firehose access"
Overall CrimsonHexagon is a stong product, and its unique in offering a one-stop solution for data that includes Twitter firehose. Recent advancements which include emotional recognition, photo tracking and new visualization are appreciated, but advancements on platforms like Instagram feel somewhat limited. Once-leading visual tools like the topic wheel have largely been replicated by other platforms, while some features that others offer - such as the ability to detect "brands" mentions within conversations or actual analysis based on emoji/emoticon, as well as customizable dashboarding options seem to be lacking in comparison to competitors. Definitely easy to recommend CH, but the platform needs to move past reliance on Twitter and continue tweaking the operation and availability of visuals, and make the Opinion Monitors more meaningful. An easier way to segment by audience would also be great. Finally, I'd like for clusters to be shown on more than 1000 messages. Srtong platform, also worth reviewing BrandWatch, NetBase, Synthesio. "Know What You're Looking For"
There are other programs out there that are better, but are much more expensive. So decide exactly what you want to do with the software and then choose your partner. Start with use cases rather than costs so you can pick the best possible software rather than just what fits your budget. "Thorough but Requires Extensive Setup "
I love that this is a global tool that monitors all online tools based off of boolean search terms. It not only monitors social media but also online forums and blogs. Like many social media monitoring services, it cannot monitor LinkedIn. It's also very expensive and takes quite a long time to set up queries. It's a lot of back-and-forth test and learning to get the search results right. If you're primarily leveraging this for consumer chatter online, it can be a very effective tool. However, I would not use this for B2B searches. Visualizations are useful to wow clients. The queries take awhile and the Topic Wheel has become buggy for all of our reports. Sometimes it will not load at all, while other visualizations so. It will also keep a filter on after you turn it off, rendering inaccurate topic wheel information. The sentiment analysis is also unreliable. I don't like the algorithm at all. Better than some but not the best. I would use this as a test for complex projects and see if it can handle it. If not, look elsewhere. Social listening and monitoring. It can be good for ongoing monitoring if you utilize a couple different KPIs such as sentiment (if you trust that), word clouds, etc. "A tool you fall in love with"
Its interface is easy to navigate. And you can use it at surface level for quick wins or use it to get need into social listening for larger projects. It takes some time to learn where the good nuggets of information are hiding, but once you use it for a few months you become a pro. The exporting limit can get annoying when you have daily needs for large companies. Its a great tool to use if you can afford it. Stick with it for a year or two to really learn the best features. Social monitoring for brands, multiple brands. And listing for new business pitches, you can learn a lot about a company with Crimson. You can catch a lot of noise with this tool, a lot of noice that executives don't always want caught. I like how it monitors key words or phrases specifically related to your brand or words and phrases associated with your brand in addition to providing social analytics and studying popular trends. While it provides data, there is little to show what the numbers mean since the Twitter platform is not a good representation of the majority of the country. If you are looking to analyze social trends and response around a product, it is worth a try. Seeing how ads, pre-roll and other digital marketing techniques trend and whether or not the response solicits a positive or negative outcome. "Crimson Hexagon in the Academic Library"
Crimson Hexagon provides a huge library of social media posts (2008 to today) with an easy-to-search interface, and built-in analysis/visualization tools. Searches are incredibly fast, returning hundreds of thousands of results spanning several years and social media platforms in just a few minutes. Data is easy to download for use with third-party tools, which is a must for academic researchers doing their own analysis. CH is a member of the Twitter Official Partner Program and Tumblr Preferred Analytics Partner. Though we have unlimited accounts, monitors (simultaneous actual searches run by users) are finite, so I'm still trying to figure out how to provide equitable access to researchers from across the disciplines on a large university campus, as we will easily have more interested researchers than monitors. Also, as of this writing, CH has had to temporarily remove results from Sina Weibo, which is disappointing to our many researchers who study China. Think about how you will divide up the monitors among your users. It might turn out to be easier to have one pool of monitors to share rather than many dashboards (workspaces, basically) with only a few monitors on each. Also, make sure your users are very clear about the data providers' restrictions on sharing data, especially Twitter data. Our University Library recently purchased Crimson Hexagon to provide researchers on our campus easy access to Twitter data and other social media posts for textual analysis/text mining. "Great tool for in-depth social media monitoring and analysis"
The customizable dashboards and intense, deep dive analytics this tool provides are incredibly useful. There is an immense wealth of data available provided you have the proper Boolean queries put in on the back end. The tool is not cheap. All of the analytics and data certainly come at a cost. Small businesses or those with low budgets likely will not be able to afford. Make sure you take advantage of their training on the front end. The tool is incredibly powerful, but the date and analytics you get are only as good as the data you put in. "Social Media Insights for Beginners to Pros"
Crimson Hexagon has great natural language processing tools (word clouds, sentiment analysis, topic analysis, etc. ), that makes it easy to quickly scan large conversations and pull meaningful insights. CH also has great tools for pulling demographic, geographic, and topic affinities data for your audience. CH to pull conversation samples so that you can do more thorough data analysis. As with any platform there are issues with spam, offer more help in filtering out this type of content. But their customer service team is very receptive to suggestions overall. There are gaps in data (Facebook, Instagram, etc.) but they seem to be committed to staying on top of emerging data sources. We mostly use Crimson to offer insights to our clients on their social media profile (relative to competitors) and to help in developing and planning for new marketing campaigns. The tool is very efficient in gathering data and providing accurate coverage across social platforms. Do with the interface when creating the monitors was easier to maneuver. The contract is based on the number of monitors versus the number of licenses. Therefore it is easy to run out of monitors on which to build the reports. The limited amount of monitors does make it difficult to have several topics running at the same time while also creating new ones. Using CH for our current social listening efforts to improve customer service and monitor various campaigns and products. Ease of use. Great that team can do quick and dirty analysis without being experts in boolean logic or data manipulation. Can't build multiple booleans into one 'monitor' - really frustrating typing out search queries twice into filters as a workaround... and then you still can't break it down as a comparison analysis in the dashboard views. Have to export and do manually. Good tool to go with in social listening arena. great starting point for building out comms strategies for various mktg activity. I love how you are able to manipulate sentiment with the opinion monitors and how the Buzz monitors are amazing at picking up conversation. I dislike the fact that it isn't real time and that you have a limited amount of monitors. Having a tool like Crimson can definitely help a business understand their consumers. People are always looking to social media to complain or rave about certain products. I feel like the tool does a great job with Share of Voice and helping you understand how your brand is performing vs your competitors. I love that Crimson Hexagon offers you the option of using Boolean Free Form keywords or to simply add in keywords without it. The visualizations that the tool can pull from your social listening are GREAT and you have the ability to train your monitors, which helps reflect topics and sentiment more accurately. While I love the ability to train the opinion monitor, it sometimes is hard to create topics that do not overlap. While you can use keywords/boolean for the set up of the listening monitor, you can't sort topics based on those keywords in the opinion monitor training. This tool is wonderful, but also requires a bit more user involvement than other tools. Discovering brand awareness and tracking trends. "Very easy and useful tool to analyze and get insights about brands and conversations"
"Crimson Hexagon provides comprehensive, reliable, customizable social media analytics"
Crimson Hexagon’s ForSight platform provides strong coverage of many social media data sources, ranging from the standard Twitter and Facebook to news sources and Instagram. Its clear user interface makes it easy for new users to build monitors that include a customized mix of data sources, search terms, and filters (e.g., geography, language). Best of all, the platform provides historical data, allowing users to create new monitors on a flexible basis and still view long-term trends. Moreover, Crimson Hexagon’s support team is great. They respond quickly to all questions and work very hard to meet customers’ particular needs. Because the platform is so powerful, it can sometimes pull in irrelevant data if the monitor has not been carefully refined. It is easy to exclude irrelevant data by adding filters to the search terms, but without some maintenance, users may accidentally pull in too much data. We are monitoring a number of different topics in particular geographies to better understand who is driving the discussion and what they are saying. Crimson Hexagon allows us to quickly look at each topic to gain an initial understanding of the conversation, and then has the power to dive deep into specific aspects of the discussion. We have used the data to gather knowledge, improve our social media tactics, and provide compelling evidence for communications. "Crimson Hexagon - a flexible, intuitive, and powerful tool for social media monitoring and analytics"
Crimson Hexagon’s ForSight platform provides a range of options to meet many social media monitoring needs. Because it provides instant access to historical data, it can be used to quickly pull data on an as-needed basis. For more intensive, long-term monitoring, its opinion monitors can be trained to refine data collection and analysis. The platform provides simple and clean visualizations, but you can also download the raw data in Excel. This is particularly useful for running additional analyses offline, integrating the social media data with other data, and producing visuals in your company’s format. The opinion monitors are a great tool, but they can be hard to get off the ground because they require careful set-up and training over time. There are a number of useful features that are specific to Twitter – most shared posts, top authors, top mentions – that would be nice to have for other data sources, but that may be a function of the data and not Crimson Hexagon’s capabilities. We needed to track conversation around a diverse and evolving set of topics, across a number of states. Using Crimson Hexagon, we have been able to collect reliable, specific data on all of these topics and geographies. It has helped us better understand both what people are talking about and who is involved in the conversation so we can respond with relevant messages and reach out to the right people. Crimson Hexagon allows users to save all relevant data visualizations and metrics into a shared workspace that can be quickly transformed into a holistic report. Word clouds and topic waves are often difficult to generate if there isn't enough conversation volume. Social listening, crisis communications and share of voice studies versus competitor brands. The opinion monitoring. The sheer flexibility of Crimson Hexagon is great when it comes to opinion analysis. We could choose literally any question that we were able to come up with a boolean phrase for and relevant categories. And the presentation of the data is striking and intuitive. When running a monitor, it often takes a long while, which I understand because it's going through so much content, but oftentimes it stops and gets stuck at 99% complete. "A great tool for conducting top level analysis, enhanced by customer-oriented focus of company"
Crimson Hexagon provided an excellent way for us to gain a broad overview of the topic we were monitoring (an election taking place overseas), as well as track opinion about a variety of specific issues related to that topic. For us, one of the most compelling reasons to try out Crimson Hexagon was the ability to sort analysis by location. While there are still a lot of limitations in obtaining accurate geographical-based breakdowns due to the need of users to self-identify their location, this feature was useful in allowing us to filter out all those users who identified as being outside our target country, thereby eliminating a lot of "noise" in the conversation. I also really appreciated Crimson Hexagon's ongoing product development cycle, which definitely makes it feel like a product that is very responsive to customer feedback and keen to integrate features that are of value to its customers. Despite a multitude of platforms available to search (and checked accordingly), our results were nearly 100% from Twitter, with a very tiny minority from Facebook. I was unable to easily find an answer for why this was the case, or a method for how (or if) I could expand the results. Additionally I would have liked a way to explicitly tag a post as spam and be able to filter it (or similar posts) out of search results. Our "problem" essentially was wanting to have a better understanding of what the public was saying on social media around a specific election and the feedback about various aspects of the process leading up to, and on election day. Crimson Hexagon really allowed us to measure the conversation taking place around a lot of different topic areas, which was important in determining how much to "weigh" the value of that discussion. For example, certain topics that appeared to be more controversial in the way they were covered by the traditional press, came across differently through social media channels. With the ability to categorize the tweets in our search results, we could filter out those that were more speculative, and instead focus on those with more substance and specifics mentioned. "Lots of valuable features, but some room to grow"
Love being able to run so many different monitors simultaneously, and compare results within a given monitor. Also appreciate the different kinds of monitors: we were super excited about being able to train opinion monitors, but find we use the social account and buzz monitors most often for quick analysis or real time tracking. Great visualizations, as well, and very helpful customer service. Twitter analysis is fantastic. Sometimes monitor results are quite slow to load. News and blog results seem very incomplete. And, despite repeated requests, we still can not search for tweets by destination URL, which is really frustrating, because the Twitter analytics are otherwise wonderful. It's very powerful, but be sure you articulate your needs very clearly during the demo phase so you can see what it really does and whether it's a match. We are able to monitor several client accounts or issues at once, and have instant access to month over month results and comparisons. We can export data in various forms, from charts and graphs to excel spreadsheets. We love the total audience figures and some of the visualizations. They make our reports feel substantial and well researched. "Industry leader for mining meaningful social insights"
goes above and beyond to ensure successful end results. Sometimes new monitors take a little bit of time to load in because of how robust the data is, so lowering the levels of measurement helps if you need data in a hurry. Also, the way that the set-up of new monitors can be a bit cumbersome. It's something they have identified as an opportunity and are working on updating. Really look at the commitment you've made to social listening. If you've dedicated resources to it, Crimson Hexagon is a good fit. It's not a set up once and walk away type of tool. To keep the accuracy as high as possible, monthly maintenance is needed. I think with every company that's listening to social media, the ask is to make sense of social data mined. Crimson Hexagon helps companies realize what their customers are saying beyond basic brand mentions. "Flexible access, comprehensive coverage and user friendly make CH Forsight a useful tool"
I use Forsight in the classroom to help students harness the power of social data and to learn the art of smart decisions using social analytics. Forsight is a flexible tool that students can learn easily to focus on the hard work of compiling, cleaning and computing social data to gain insights. I am also impressed by its comprehensive coverage. Students enjoy the experience with the Forsight tool and find it quite useful in their learning. In my classroom teaching, I emphasize the need to work with actual social data. While Forsight user interfaces that display and diagram social data are interesting and helpful, I am equally interested in the flexibility to download raw social data and to program it for smart analytics. Forsight allows this, but it is a tad clunky. Certainly a tool that warrants consideration. I have two problems to solve: (a) educate students to develop competence for understanding, handling and analyzing social data, and (b) conduct research on interesting problems that involve a central role for social data. Using Forsight, I have realized significant benefits to advance both areas. I use Forsight to assist MBA students on major consulting projects at the University of Michigan.. It is an excellent combination of data availability and easy-to-learn analytic tools. Unlike some competitors, Forsight allows these student consultants to define their own keyword searchs and learn what works as they go. Since it's language-neutral and has a worldwide scope, for the first time our international consulting projects have a way of accessing customer behavior on a global scale. We are definitely impressing our sponsors with this tool. I would like to see administrative functions improved - at present I must ask for "build status" each time I add a new user. Also, I'd like to see a better more responsive way to report technical glitches. The present system steers me to forums but does not allow for quick reporting of more serious problems. There are two main benefits to Crimson Hexagon's Forsight for us: first, we are able to address many sponsors direct requests for social media analysis. Secondly, we are able to open an entire universe of consumer behavior to students who previously had limited access to survey subjects. Compared to the usual student survey, Forsight allows more sophisticated qualitative analysis, as well as significant trend analysis, and breakdown of responses by geography. The graphics are useful and informative. Crimson Hexagon gives us a deeper level of insight that what native analytics on Facebook and Twitter are able to provide. The conversation breakdowns by topic and by sentiment are huge. The learning curve is pretty steep and some social metrics are oddly missing, such as Twitter favorites. Know exactly what you're hoping to achieve with Crimson Hexagon at the start so that the on-boarding process is as seamless as possible. We're using Crimson Hexagon to compare how our social programs stack up against those of our competitors. We're also using it to measure the overall conversation around our brand and how that conversation breaks down by category, whether it's purchase intent vs. customer service vs. brand campaign, etc. "Powerful analytics tool for social research"
Crimson Hexagon is incredibly powerful, combining unparalleled access to social media data with easy-to-use sentiment algorithms. I greatly appreciate the quick learning curve and the flexibility of the tools. My research project had very specific requirements and I was easily able to tailor the CH capabilities to my needs. Sometimes training individual tweets can be a chore, especially when there are not enough examples for each category. It would be nice to have more control over how the training set is chosen as well (i.e. specify how they are sampled). Just research for my part, understanding the social dynamics of how misinformation and factual corrections interact online. "Crimson Hexagon has better data but tedious process"
Crimson Hexagon is very much customizable with the ability to identify and eliminate noise where we believe there is unnecessary data. It also helps to clearly define the keywords that we believe would be relevant and also track channels that are relevant. The possibilities with setting up "monitors" are huge. This makes it very valuable and helps to ensure data health. It also allows for us to train the monitors to identify the right kind of sentiment. Setting up monitors can be tricky and sometimes it is left to user interpretation which adds some level of risks to the data you are trying to pull. It still has a lot of noise and training the monitor can be hard. This is still a platform that is learning to understand social media platforms. While they do have powerful web crawlers, social media is a tricky medium where accuracy may not always be possible to achieve. However, one good thing about them is that they are constantly trying to evolve. Most of time, I have used the data to use in econometric models to control for the clients social media presence. We have tried several social media sources like Radian 6, Social Radar but have found that Crimson Hexagon data seems to perform much better in the model. We are able to provide a read on it that helps the client get a feel for how they are doing socially. "A very good product for social media monitoring, sentiment analysis and textual classification." 1. Direct access to Twitter hose data. One can download the tweets as well to do further advanced analytics. 2. Inbuilt Advance Analytics technique. 3. Machine learning algorithms which an individual can train according to his/her business terminology and needs. 1. Algorithm accuracy should be approved. I am not sure whether research is ongoing or not. 2. Doesn't have business related taxonomy at the point of time when I used it. Having business taxonomy would help the end users tremendously. 3. Not much flexibility in terms of model selection. 4. Data slice and dice functionality should be more intuitive and flexible. Each tool has its own advantages. 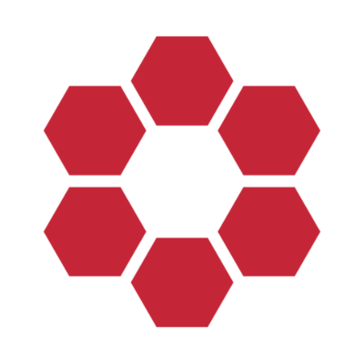 If you are looking for a tool which have some machine learning capability, you should try Crimson Hexagon. For eg:- If you have a product and want to know about the likes and disliked of that particular product then you can train some same posts and then the CH algorithm will classify the rest of the posts and then you can further analyze what is working for your product and what is not. My favorite part about Crimson Hexagon is the large amounts of customizable data available. We have been able to use Crimson for new business pitches, client audits, and many more projects. I don't like that you need to spend a minimum in order to get an account manager. Also the tool itself is on the pricier side. We are able to do in depth analysis on demographics of conversations on social. We've been able to form robust strategies from this data. "The tool to use when going beyond monitoring metrics"
The ability to specify custom labels & classifications (categories in Crimson parlance) is central to a business consultancy work because our analysis of the same data depends on the question we are answering. Being language agnostic is a key differentiator that allows us to work with information irrespective of its language whether it's French, Arabic, or Mandarin Chinese. Crimson allows us to create a fuller analysis and picture by going beyond social media data and uploading customs sets of data. Frequent updates and feature additions that address both the marketing crowd and the research crowd. Need added flexibility within the tool to train and modify data sets in bulk. Missing statistical measures of the results of the algorithm to validate specific runs. If you are looking for deep analysis of the data (social media or other text) , Crimson Hexagon has few contenders in the commercial space. Help businesses hear the voice of the customer in the volumes of available unstructured textual data. "Top Tool For Social Listening"
One of the few platforms out there to offer sentiment analysis which you can train yourself, which is very accurate and always important for true strategic research. Furthermore, it gives impressive ways to segment data across social for deeper digging. Finally, the customer service team is second to none, offering quick responses and resolving issues fairly fast as well. While I like the beta tools that are constantly being implemented and tested, I'd prefer they would reach out to their users more often to see what best use cases could inform new products. Business strategy in retail, consumer electronics, and consumer packaged goods. "Easy Access to Social Media based Topical Analysis"
Easy access to social media analysis and large volumes of social media content. We're a market research company that uses this type of data for research based insights. The easy access to this content allows us to use their simple to use internal tools along with our own internally developed solutions to produce excellent information for our clients. It's easy to use. That certainly helps. It's a fairly expensive solution for the market research industry vs. our other market research software. Make sure that you know what you are looking for in this space. There are many different approaches to social media analytics. This works extremely well for us as market researchers, but may not be as useful to others who are looking for ways to engage with rather than measure social media content. We are on the constant "look-out" for access to online content that we don't have to gather ourselves. The ability to grab social media content for market research insight purposes is not easy. This software has allowed us to bridge the gap between the solutions we've built ourselves and the need to gather social media and online content easily and quickly. Audience insights and keywords. Heliosight & topic wheels have been great tools for us. Price. The cost per user is pretty high and we have a small team that needs access to insight through the platform at different times. Providing consumer insights and audience information has become much easier for our team. "Useful for educational purposes, but still has its limits. " I like how easy it is to access a vast amount of information and there are not as many limits on the data searched as other social media websites (netlytics). I don't like how you are limited only have 5 recent "searches". We use Crimson Hexagon to look at trends across Twitter and other social media websites. A benefit is looking as the visual data, such as nodes and connections between users. 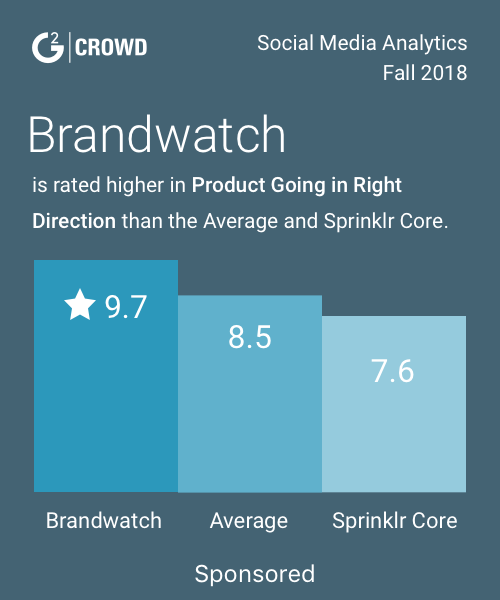 "Sohpisticated Next Generation Social Insights Features = Competitive Advantage"
Two things stand out for me as an agency owner, ROI and Innovation. I can easily measure the ROI on our Crimson Hexagon license. The advanced machine learning functionality means my analysts can produce deliverables in a quarter of the time it would take them using traditional social listening tools. The platform is constantly evolving and the new features are a consistent source of competitive advantage for us. The lack of Chinese social networks tracked. Having said that, this issue applies to all existing social media insights tools. So it's more of an issue with the infamous Chinese firewall than the Crimson Hexagon platform. 1. Investing in the Crimson Hexagon platform has reduced the dramatically reduced the insights stage on new business pitches which creates more time for senior management to focus on strategy and creative. 2. Reduced analysis time improves our margins. "A great tool if you want to look at social data beyond face value"
The Opinion monitor - it has given me the ability to structure social data in the most sophisticated way I have come across, meaning I can dive into data beyond the usual volumes and automated sentiment that is the prerequisite in most social analysis tools. For example I can quantify the share of voice on a particular conversation/brand/topic of interest or delve into the the drivers of why something is positive or negative. This feature includes auto-categorisation of data using the advanced linguistic algorithm: categories can be created dependent on how I see the data, a sample is trained for each category and when sufficient enough it will categorise the rest. I had an initial problem with the timings of setting up monitors, possibly based on my experiences with other social media analysis tools which usually were quicker to set up. However once I appreciated the unique way the tool works and the level of detail I can go into, I soon overcame the "input query, see numbers" attitude. In an agency environment, the pace of work can be very quick, especially when it's pitch time. What this tool enables us to do is bring timely quality of social data beyond volumes, structured by us as analysts and strategists - to produce insights which are meaningful and stand out to our clients or potential clients. "Powerful, Flexible, User-friendly, and Altogether Invaluable Tool for Market Research"
When there are so many features that work so well, it's hard to know where to start. Crimson Hexagon's ForSight platform is very powerful, adaptable, easy to understand, and just endlessly useful. Coming from a medium sized corporation, I can't imagine a large organization conducting market research on the social web without it. The breadth of the dataset across social networks, the years' worth of historical data, the deep network analysis of the Affinities/Segments feature, the ability to track topics and trends across time - each of these features alone would be enough, but together they create an indispensable tool for businesses looking to identify opportunities in the marketplace. Plus, it all comes in an intuitive, slick, user-friendly interface. I have personally built over a hundred monitors for our company and clients that range from the very simple to the very complex, which translates to easily two hundred plus hours of usage. The customization it offers to power users is enormous. Though I think companies would be best off with at least one heavy user on their teams (rather than many light users), even the simplest of monitors, able to be set up by anyone in minutes, can reveal so much information. I want to specifically single out the natural language analysis capabilities of ForSight. I am consistently impressed with the algorithm's ability to sort nuanced posts into coherent categories. Many times it has proven itself far more capable than I was prepared to give it credit for. It's also a highly scalable tool. We make plenty of ad-hoc monitors that bring in a small number of targeted posts (a few thousand), but as you bring in more posts, up into the millions, ForSight's parsing and analytical capabilities only become more powerful. In the last few months, their processing speed has increased, and most buzz (simple) monitors I make are now ready in minutes. More complex monitors can still take a few hours to complete, depending on the complexity of the monitor and the size of the data pool. The folks at Crimson Hexagon are constantly updating and refining the product and adding useful new features that now seem essential. As an organization, they are very receptive to user feedback and very clearly interested in hearing exactly how their customers are using the product, what is working for them, and what could be better. Their support team, too, is super, super responsive, sympathetic, respectful, and helpful. Demographic data could definitely go deeper; at the moment it's limited to gender analysis and volume by country or US state. There are some seemingly basic controls missing, such as the ability to sort post lists (by date, by source, by category - any of these would be very helpful). It would be nice if filters could be applied to every section, including Twitter, Authors, and Affinities. Sometimes you have to work to filter out spambot accounts on Twitter: even if the accounts are now suspended, their tweets remain in Crimson Hexagon's archives. But that might just be a natural hazard of working with Twitter. If you plan to make extensive use of it, I recommend having an expert on your team who is capable of wielding it to its full capabilities, both on the build and analysis side. It's pretty intuitive for casual users, but the cleanest, richest, most precise data will come from someone who understands ForSight's capabilities from experience. Support is also great at answering questions about its abilities the extent that is necessary. Also, this is not a "fire and forget" tool. Using it requires an ongoing investment of time, which should be a priority. We have had internal teams request monitors, only to admit that they "never found the time" to look at the results. We have used Crimson Hexagon's ForSight platform for so many purposes it's hard to keep track of them all. Market research, publicity outreach to influencers, identifying keywords for metadata optimization, acquisition research, ad/publicity campaign tracking, evaluation of the social platforms of prospects, finding popular blogs and forums and places of "deeper" conversation - the list goes on. We've even used it, internally and externally, just to impress people with the insights we're capable of mining. When people see what you can discover with this tool, they know you're serious about utilizing social. We have impressed clients, improved marketing and publicity campaigns, and gained a better understanding of dozens of markets and communities thanks to ForSight. I should note that we do not use it for brand management, sentiment analysis, or social monitoring, simply because those functions do not make sense for our uses (we are a B2B company and have little direct interaction with consumers). A great tool for identifying social media trends, topics, conversations etc. The limited availability of Facebook data/ insights. Amazing tool which keeps evolving. Helps in identifying social media trends for various clients, analyze campaigns and events, competitor comparison and suggesting social strategy. "A really useful tool for analysing our social performance"
The level of analysis offered on specific conversations and particularly the affinity of groups - that's brilliant! I'd like an hourly alert to make it a monitoring as well as analysis tool, with all mentions on those updates. Not understanding how our social was performing, or what our followers wanted. Crimson has given us the appropriate equipment to do that. "The bar has been raised for social listening tools." As a strategist, the ability to "train" the tool to recognize sentiment and filter out spam makes Forsight an automatic leader in the social listening category. Another thing that Crimson Hexagon does well is present conversations in a very visually aesthetic way. I haven't had one person, whether internally or a client, not comment on the visual presentation presented by the tool. Finally, Forsight pulls its mentions from Twitter, Facebook, forums, YouTube, Weibo, comments, reviews, blogs and specific Facebook pages using either a simple or boolean query. WOW! Although still developing, the real-time listening feature is cool but still slow to operate. As of right now, it works exclusively for Twitter but I expect it to change to be more inclusive of the other platforms. If you're still on the fence about Crimson Hexagon, the service support staff is top notch. I have an outstanding relationship with them and they are very, very helpful. There is also a new training module, similar to online classes, in place to teach new and intermediate users. The technology is always evolving, too. Unlike some of its competitors that don't change their offering in years, Crimson has upgraded at least 5 times in the last 2 years! Crisis management and new business pitches have benefited most from using the tool. I also use it for competitive analyses on a regular basis. Forsight has helped us win multiple clients and justify strategies for others. "Crimson Hexagon takes strategic social research to the next level"
1 - Affinities - being able to delve into audience interests and compare segments is vital from a content creation point of view. 2- Machine learning - categorizing conversations made easy. It's now much easier to nail down consumer topics more accurately than I've experienced with similar systems. I can't find many faults with the system. Great tool too look at social media data more strategically. We're able to answer future facing business questions by looking back at trends over time to see how the conversations around tech for example are changing. This tool is also allowing us to become a contextual team which helps frame broader business issues more accurately. "Social Media monitoring is best with a strong business question to answer"
Platform is easy to navigate between monitors, reporting and dashboards. Robust platform and strong customer support infrastructure. I haven't tested a lot of other platforms, but have been very impressed with Crimson's capabilities. Brand Tracking, Crisis Management, Episodic Events, Items of concerned. Crimson allows us to keep up with conversation volumes, key trends and associations (topics, keywords, opinions, etc.). "Unearthing gems from the mine of information"
The ForSight user interface is simple enough that hours are not wasted on sourcing the information, like other products in this sphere, but used more on working out how the valuable insights the tool uncovers can help us as an organisation moving forward in a crowded, digitally enhanced world. It's hard to pinpoint flaws in the user experience however, from a personal point of view, I lack the patience or time at work to really harness the tool's power with even deeper insight that my colleagues in research are able to do. Give it a try. The team are extremely helpful whatever stage of your journey and it will help your company in the short and long run. As a trade body, we are looking to constantly monitor the social media performance of certain hashtags attributed to our key rocks as well as the main Twitter accounts that serve as our primary face to the world. ForSight enables me to do this well and help key players involved in our various rocks satisfy the thirst for insight that stakeholders possess. * We monitor all Crimson Hexagon reviews to prevent fraudulent reviews and keep review quality high. We do not post reviews by company employees or direct competitors. Validated reviews require the user to submit a screenshot of the product containing their user ID, in order to verify a user is an actual user of the product. Hi there! Are you looking to implement a solution like Crimson Hexagon?